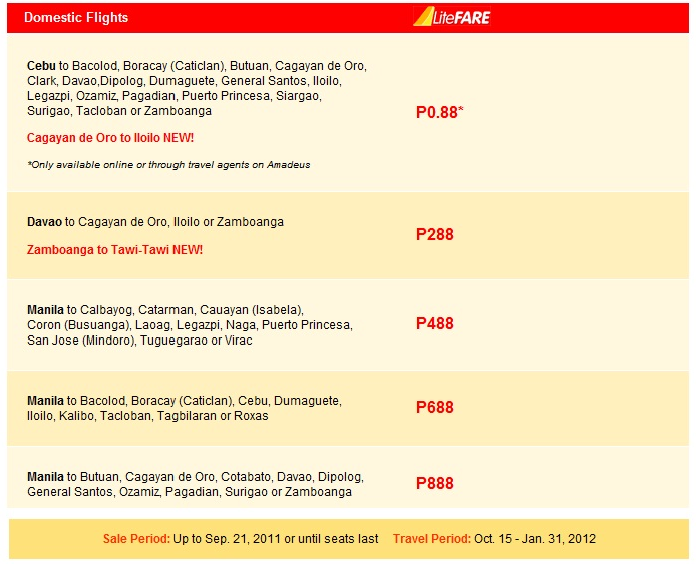 Was is just last week since Cebu Pacific had its latest promo? Cebu Pacific is back again with its Meet Them Halfway Promo. In lieu of Black Eyed Peas concert this coming October 25th at SM Mall of Asia Concert Grounds. Not only that if you book your flight through travel agents on Amadeus you can get Php 0.88 to anywhere locally on LiteFARE. Check out the photo for the other fare promos. That does not stop there! Mind you the International Flights are also on sale!! Imagine going to Macau for as low as P488? 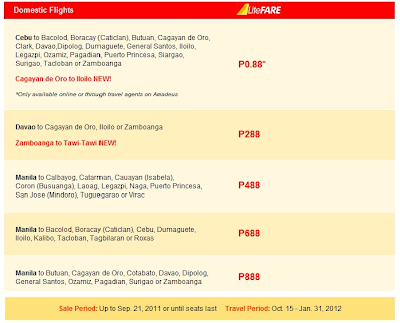 Travel Period: October 15 to Feb 29, 2012! 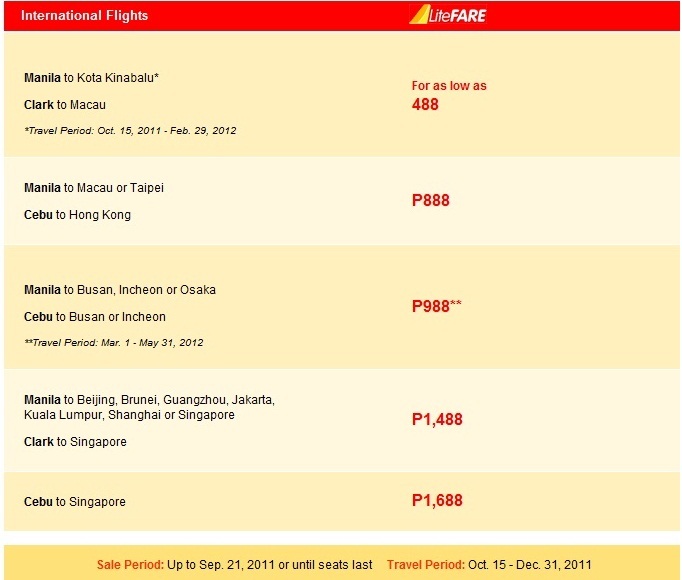 Sale Period: Up to September 21, 2011 or til seats last. 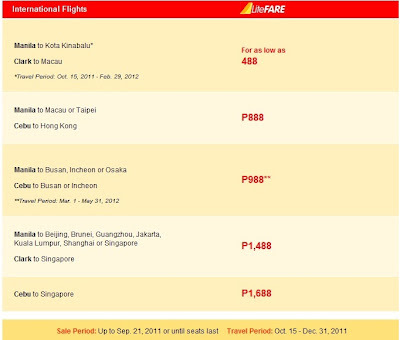 Travel Period: October 15-December 31, 2011. It does not get any better than this right? I was really curious how much I would pay should I watch Black Eyed Peas Concert this October. For Php 688 per flight I could enjoy the concert at MOA and still have time to shop for only Php 2117.92! Had there no tax then I would only get to pay Php 1376. All in all, it ain't that bad. I also checked how much will it cost if I go to Macau. Php 2862.85 for a round trip! OMG! I need to save!